Having a cramped small closet can be very discouraging. However, lacking storage space is not the end of the world. There are a few tricks you can do today that will not only increase your available closet storage space but can also save you some money. Learn how to improve your closet storage space today with Affordable Family Storage. The first thing you should do when reevaluating your closet is to find all the pieces that you have not worn in a long time. If they no longer fit or are no longer in style, it is time to get them out of your closet. 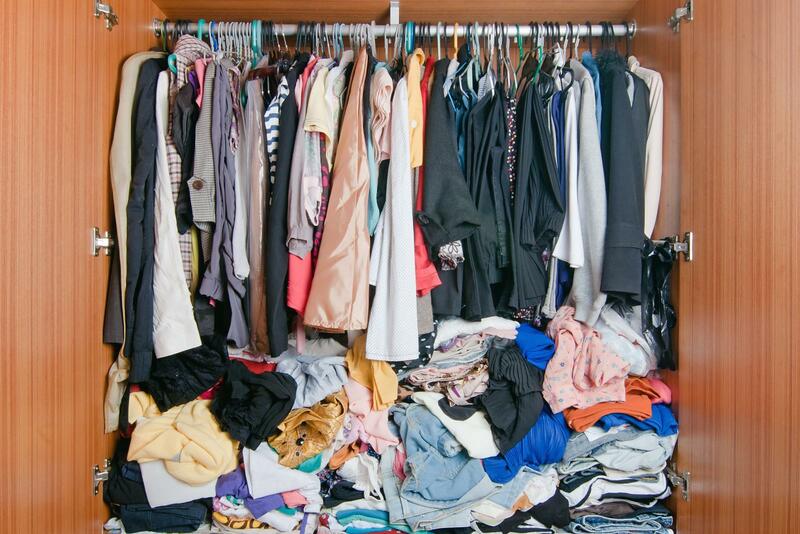 For clothes you are not interested in wearing again — look to resell or donate them. For clothes that do not fit that you still want to keep with you, find a storage unit to keep them in — these can be either as “fitness goal clothes” or items that have sentimental value. If you do not have an upper shelf already installed in your closet, make sure to add one. You can place storage bins on the upper shelf and shelf dividers to create storage space to put clothes that are out of season, shoes, bags, or whatever fancies you! As long as you are freeing up space and decluttering, anything is going to help. Installing hooks to store handbags, scarves, belts, ties, and more can be an excellent way to make the most out of a small storage space. You can even line your doors with corkboard and hang jewelry. Remember, the idea is to get creative with the storage space you have. One of the best ways to ensure that your closet is not overflowing is to rent a storage unit. Swapping out-of-season clothes, getting those golf clubs out of your closet, or finally freeing up the storage space your luggage has been taking up can all be done with a small, affordable storage unit. Are You in Need of Storage Space? Contact Affordable Family Storage today. Our Billings, MO location is the ideal facility for anyone in the greater Springfield, MO area. If you are looking for climate control, we have it. 24-hour security? We’ve got that too. Affordable Family Storage is the ideal location to keep your extra stuff safe and sound. Contact us to learn how we can help you to declutter your life, today.